Paris is more than 2,000 years old, inhabited since between 250 and 200 BC. The Gauls settling there founded a fishing village on a river island and called themselves the tribe of Parisii. That river is the Seine and the island is present-day Île de la Cité. Paris and Christianity on the Rise. In the early 4th century (300’s) the Roman Empire’s stronghold began to wane and with formal Roman “permission”, Salain Franks took control of Paris and then most of the surrounding territories. Also in the mid 300’s cities began dropping their Roman-given names taking on the name of their local Gallic tribe. For the Parisii tribe, Lutetia became Paris. 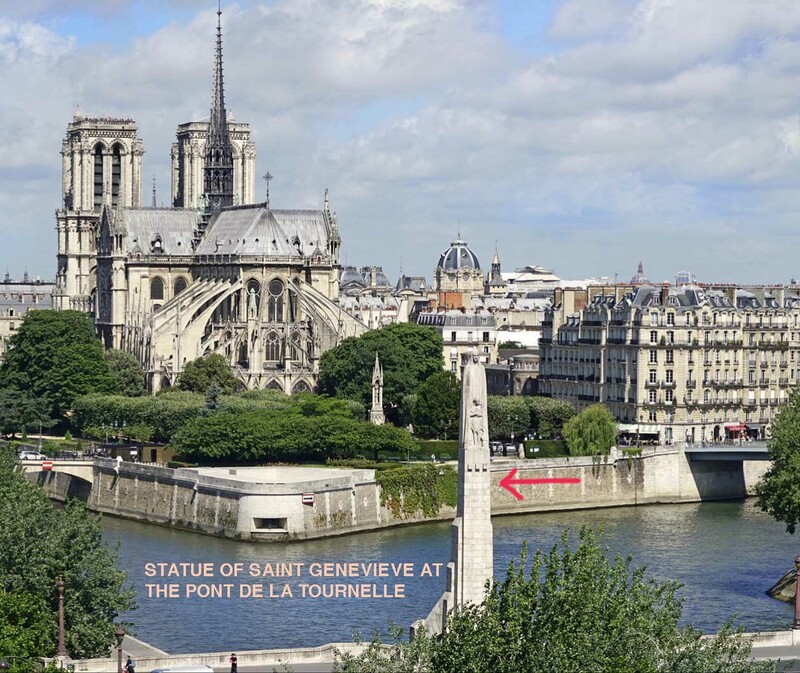 In the early 5th century (400’s) Geneviève, a young orphaned girl, moved from Nantes to Paris to live with her Aunt Lutetia (yes, named for the former Paris). Geneviève had frequent visions of heavenly saints and angels and dedicated herself to a Christian life and service to others. In 451 she led a “prayer marathon” that was said to have saved Paris by diverting Attila‘s Huns from Paris. Later, when the city was besieged, she acted as intermediary between the city and its besiegers, collecting food and negotiating the release of prisoners. These and other “miracles” performed during her life, and after, are the basis of her being canonized, the Patron Saint of Paris. In early 6th century (500’s) King Clovis the Frank turned against the Roman commanders and made Paris the capital of his kingdom. Shortly thereafter he converted to Christianity, which then became the “imperial” religion. The next 5 centuries saw Paris grow into the largest and most prosperous city in the country, control going from one dynasty to another – Merovingian, Carolingian, and Capetian, Robertians, Bosonids. 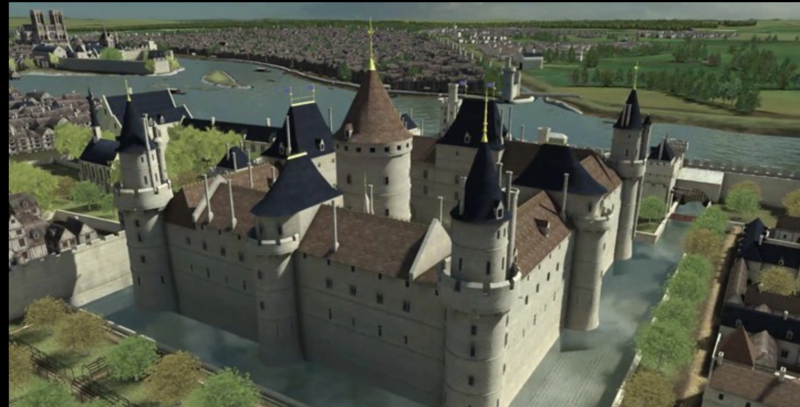 Between 1180 and 1202, King Philippe-Auguste authorized a number of projects to improve and modernize Paris —paving streets with stone, replacing wooden bridges with stone bridges, constructing the first city wall and, building the Louvre. 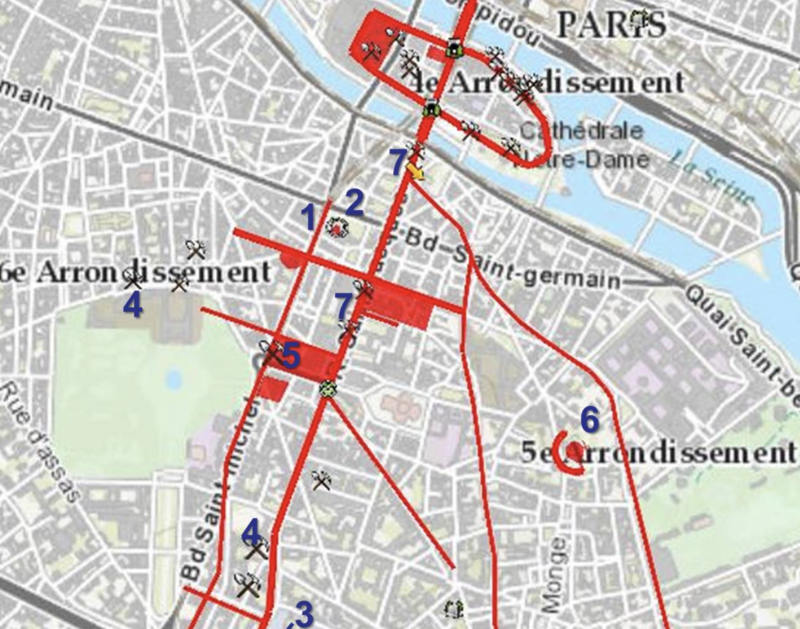 Interesting that the Louvre, and its mote, was built on the outside of Paris, at that time, to protect the city. It’s purpose was not an official residence, nor a museum. The Hundred Years War starts (1337) a long struggle between England and France over succession to the French throne. The struggle see-saws (English winning: 1337-1360; French winning: 1360-1415; English winning: 1415-1430; French is winning 1430, with the success of Joan of Arc’s battle at Orleans. The war officially ended in 1435, but the final English possession of Calais was not handed back to France until the mid-1500’s. In closing, consider that it wasn’t until this time – 1492 – that our country’s history was just just beginning. Technically, history here begins well before 1492, however there isn’t any record nor comparable communities. Such a very different heritage.